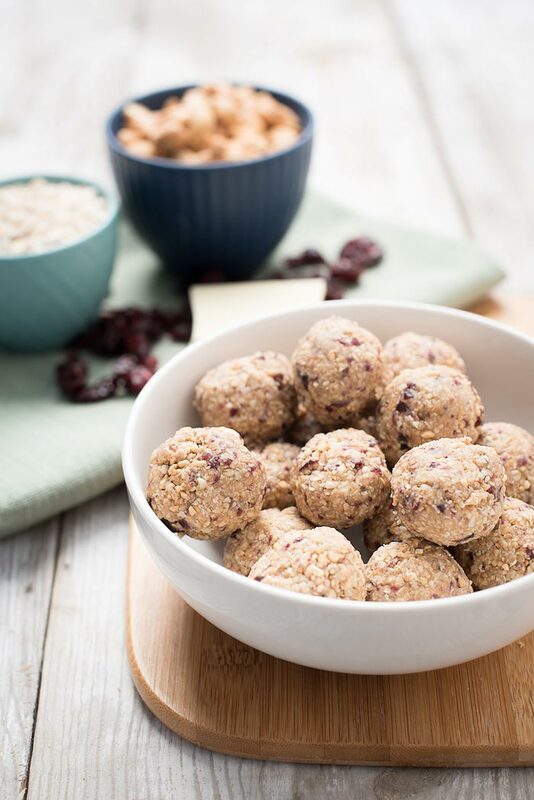 Cranberry White Chocolate No Bake Cookies - Healthy and Delicious! 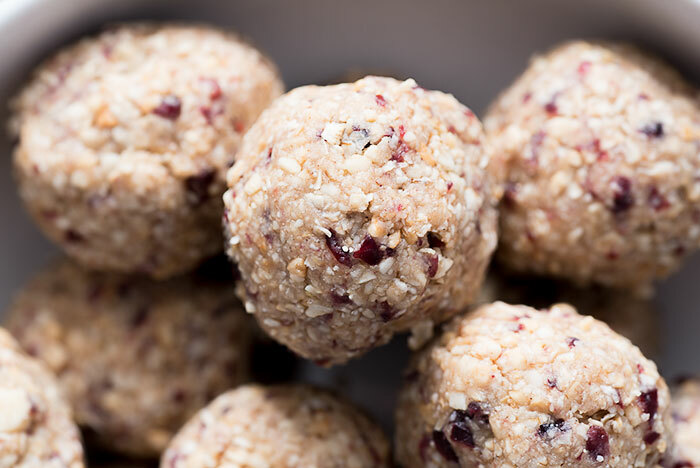 Today’s recipe is Cranberry White Chocolate No Bake Cookies. 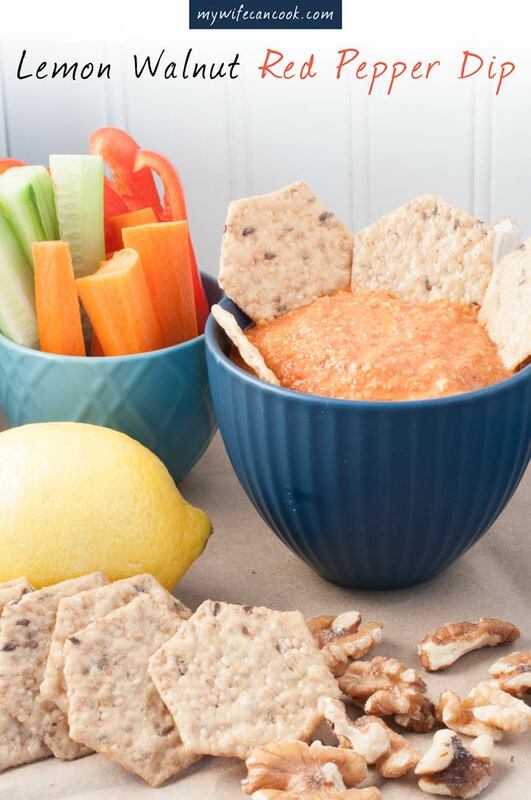 With 3 kids to feed, we’re always looking for new healthy easy to make snacks to add to our bag of tricks. 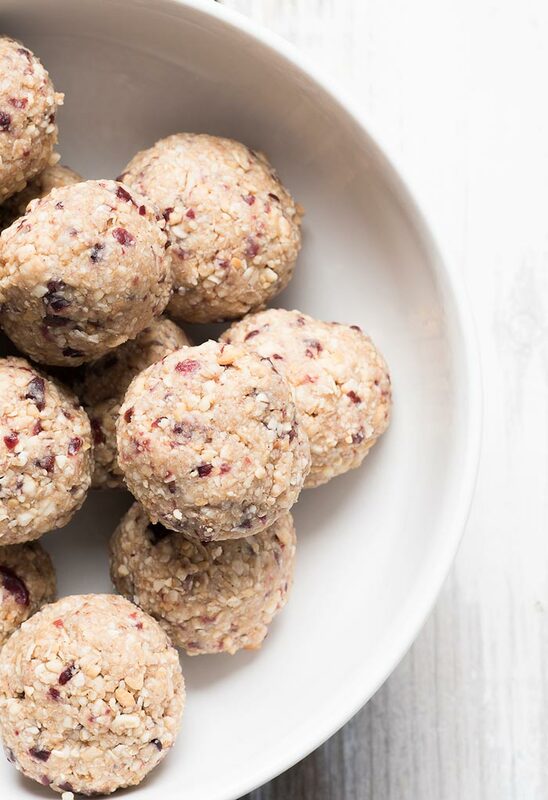 These healthy no-bake cookies get the kid stamp of approval and feature a delightful flavor pairing of white chocolate and cranberries. We’re guessing the grown-ups in your house will enjoy them as well! Our kids are hungry all the time. Seriously, ALL…THE…TIME! They scavenge for food all day long. By the time the lunch dishes are cleaned up they are hungry again. And if you forget to give them a healthy snack during the day, watch out! They become hangry. But, if we throw these Cranberry White Chocolate No Bake Cookies at them we can sometimes avoid the hangry meltdowns. It’s not just a kid thing, I know how they feel. There are days where I realize it’s 10am and I forgot to eat breakfast. Or we are on a trip or errand run and I have packed them a complete lunch and snacks for the whole day, but oops, nothing for mom. And the hangries come calling. None of us are immune. But for growing kids, hungry meltdowns are even more common. That’s why as parents we rely heavily on healthy snacks that fuel our youngsters with quality ingredients. We try to find good options at the store (and sometimes do), but let’s be honest, a lot of what you buy at the store is crap! And it can also be expensive. 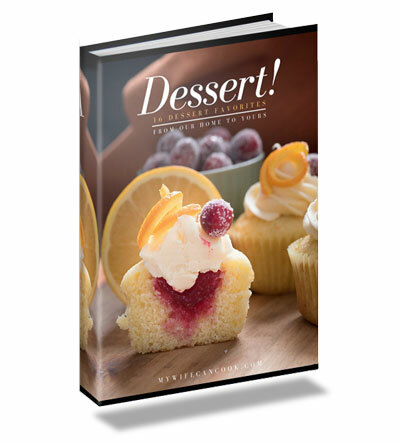 Coming up with recipes at home lets us take control of both the cost and the quality of ingredient. And we’ve really become a fan of no-bake cookies because they are usually really easy to make and pretty easy to keep reasonably healthy. 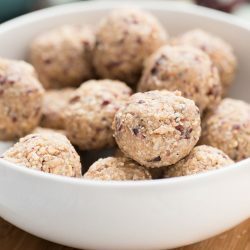 And these Cranberry White Chocolate No Bake Cookies are just an example of how creative you can get when making no-bake cookie balls or bites. Can you say yum? 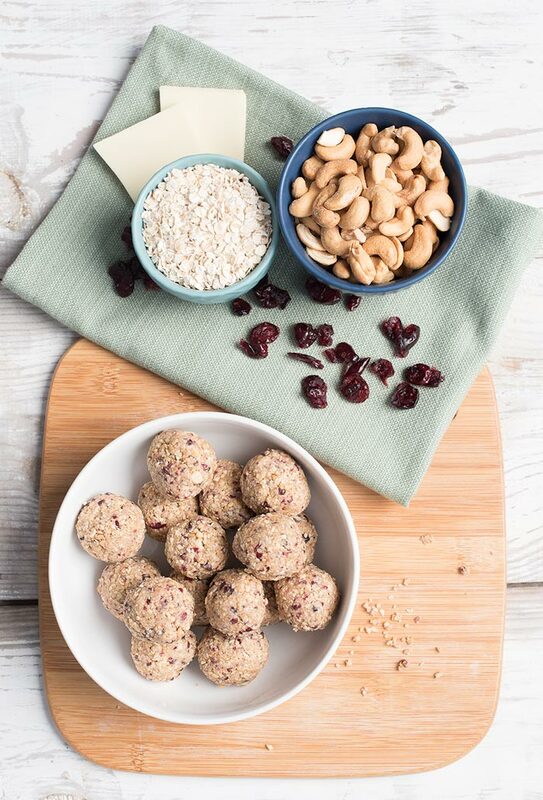 We made no bake oatmeal cookie bites a while back with cashews and oat bran…plus a few other ingredients that the whole family loved. 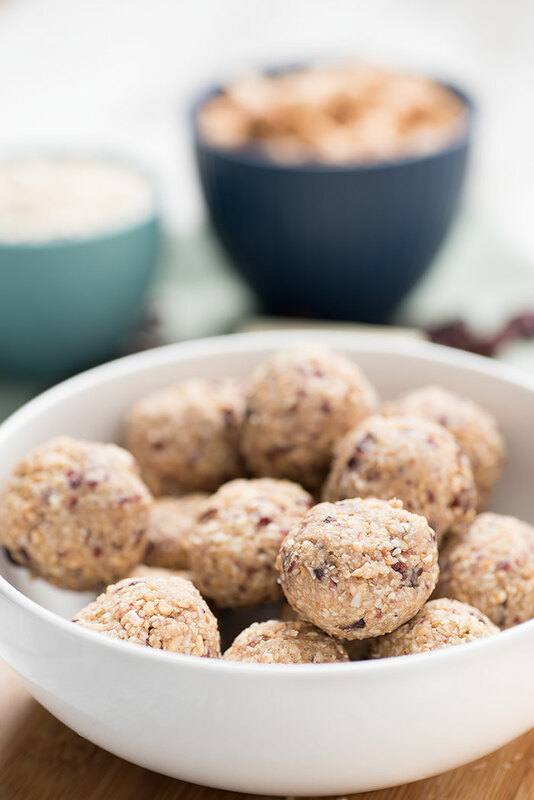 Actually, as a funny side note, I made a batch of the oatmeal bites for a friend who had a new baby and she said she passed along the recipe to a new moms group she was a part of because they worked well as a lactation cookie. Too bad I didn’t realize that almost a decade ago when my parenting journey began. Anyway, after testing out the recipe for our cranberry orange cupcakes, we decided to remake these cookies into a seasonal treat featuring cranberries and white chocolate. 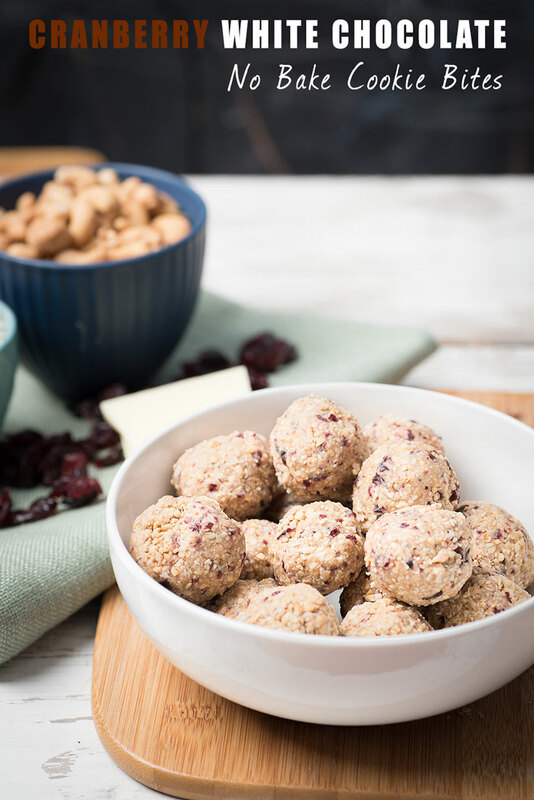 The dried cranberries and hint of white chocolate in these no bake cookies remind me of a delicious traditional white chocolate cranberry cookies from Sally’s Baking Addiction, but without the butter, sugar, and processed flour. That’s nice and another big plus is that they only take 5-10 minutes to throw together in the food processor. If you want a vegan version, leave out the white chocolate. And they could easily be made gluten-free if you buy gluten-free oats. 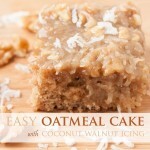 When I make these, I start with the cashews and oats in the food processor and process until the cashews are broken up. Then add the cranberries (I like them in small bits in the cookies, not giant whole dried cranberries) and process. Then add all the other ingredients and process until it starts to stick together. Measure out a packed tablespoon and roll into a ball. 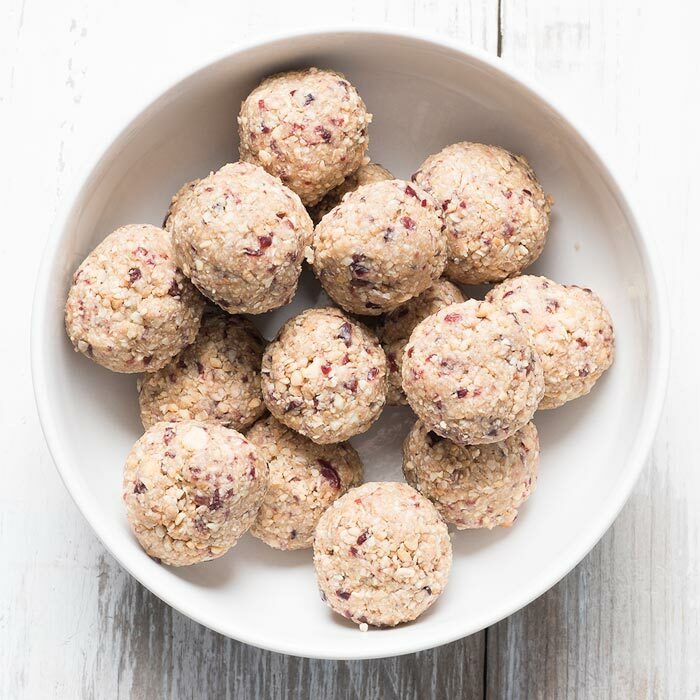 Refrigerate for a half an hour or so and then your Cranberry White Chocolate No Bake Cookies are ready to go! Enjoy! Process oats and cashews in the food processor until cashews are small bits. Add cranberries and process until desired size. 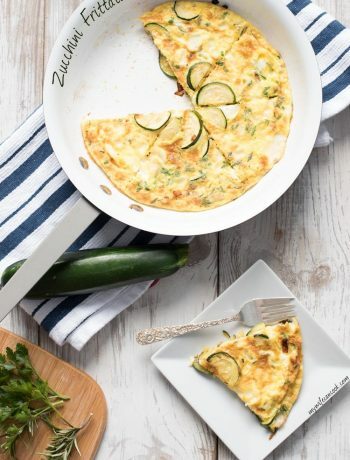 Add remaining ingredients and process until everything starts clumping together. If mixture does not stick together when scooped with a tablespoon, add additional syrup or oil a half tablespoon at a time. Scoop mixture into a tablespoon and pack down. I bet you could use other nuts. That’s a good idea for the next time we make them! 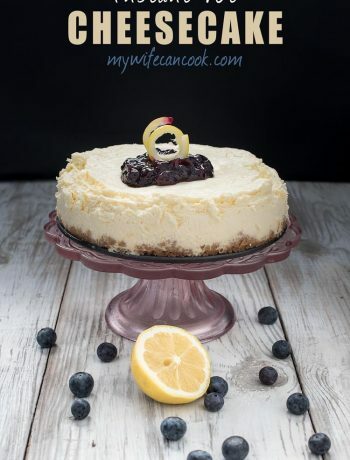 White chocolate and cranberry go so well together. 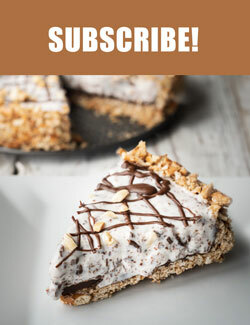 Love the “no bake” easy prep for this tasty holiday treat. Thanks! Yes, that’s the part I love! Can we use some other oil instead of coconut oil? You could try to sub in olive oil, but I haven’t tried it before. One of the reasons we used coconut oil was that it hardens when cool. You could also maybe try peanut butter?